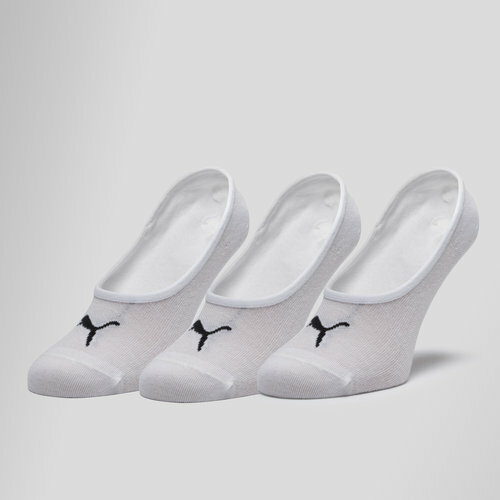 Helping you to be the best you can, make sure you compliment your footwear by pulling on these Puma Adult 3 Pack Footie Socks in White. These footie socks from Puma have been designed to offer an invisible look, with the cut sitting below the ankle which will compliment your footwear by not getting in the way. The elastic lining keep the socks inplace meaning there's no distraction from slipping socks.